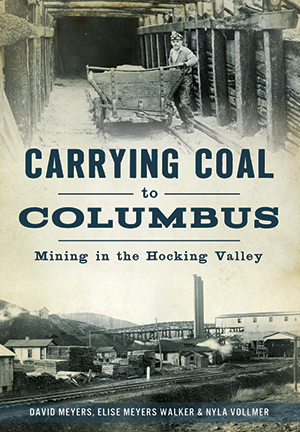 As early as 1755, explorers found coal deposits in Ohio's Hocking Valley. The industry that followed created towns and canals and established a new way of life. The first shipment of coal rolled into Columbus in 1830 and has continued ever since. In 1890, the United Mine Workers of America was founded in Columbus. Lorenzo D. Poston became the first of the Hocking Valley coal barons, and by the start of the twentieth century, at least fifty thousand coal miners and their families lived and worked in Athens, Hocking and Perry Counties. Authors David Meyers, Elise Meyers Walker and Nyla Vollmer detail the hard work and struggles as they unfolded in Ohio's capital and the Little Cities of Black Diamonds.